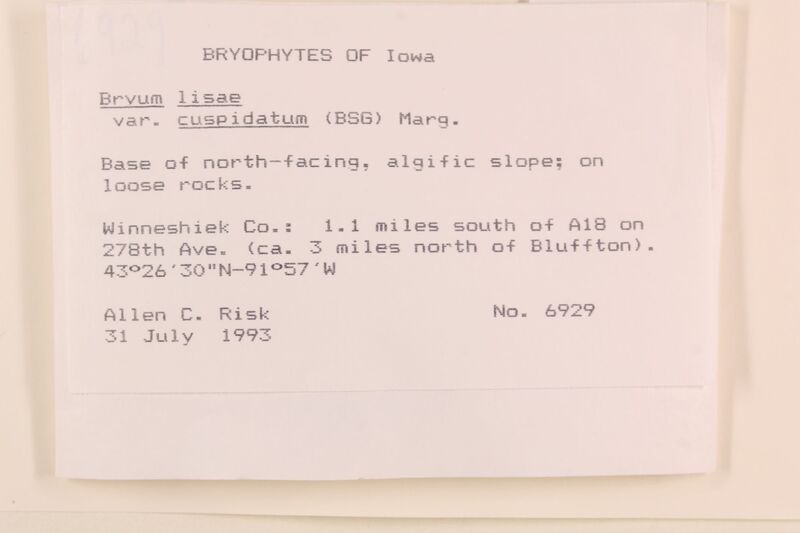 Taxon: Bryum lisae var. cuspidatum (Bruch & Schimp.) Margad. Locality: United States, Iowa, Winneshiek, 1.1 miles south of A18 on 278th Ave. (ca. 3 miles north of Bluffton).